A few years ago, I went through a Erich Maria Remarque phase, reading several of his novels, one after the other. I don’t think there are many writers who manage not only to capture the horrors of war but its complexity. Nothing is really black and white during a war and so Remarque’s characters are never black and white. He’s also one of the rare writers who depict the soldiers in the field and the people at home. Usually however, the books either focus on the home front or on the front. A Time to Love and a Time to Die – Zeit zu leben und Zeit zu sterben is the first I’ve read in which both settings are equally important. The book starts in Russia, at the Eastern Front, toward the end of the war. The Germans are pushed back; their losses are heavy. Nobody thinks they will win the war but to say so would be an act of treason. We are introduced to a group of soldiers – one of them the main character Ernst Gräber – who bury an officer and get ready to shoot a group of Russian partisans. Fighting is heavy, the winter’s still raging and morale is at an all time low. The soldiers are a mixed group. Some are Nazis, some just enjoy cruelty, others are fed up with it all. Ernst Gräber hopes that he will still be granted three weeks of vacation. He hasn’t heard from his parents in a while, hasn’t been home in two years. Because the fighting is so intense, he’s convinced, he won’t be allowed to travel home, but at the last minute, he’s informed that he can go after all. Those at the front, are not allowed to tell those at home how bad it is, but when Ernst arrives in his hometown, he realizes that those at home are equally not allowed to tell those at the front, how awful it is in Germany. The city landscape resembles the Eastern front. Fires, bombings, ruins, and homeless and hungry people. Ernst had been looking forward to some creature comforts— warm water, fresh clothes, a bed, and his mother’s cooking. He won’t get none of that. He won’t even find his parents. All he finds is their bombed out house and some information that lets him hope, his parents are still alive and have been transported to the country. In the following weeks Ernst meets old school friends: Elisabeth, a young woman, he falls in love with and Oscar Binding who is a district leader. He also meets an old teacher who has been fired and lives in constant fear of being brought to a camp. Unlike most of the people around him, with the exception of Elisabeth, Ernst doesn’t think the bombing is unjustified. Even before, still at the front, he began to question the war. Was killing in the name of a war and especially in the name of a misguided leader not plain murder? His conscience tortures him constantly. People are hungry but because he knows a district leader who has hoarded food, he and Elisabeth are able to eat and drink as much as they want. Is that OK? He’s also shocked to see how many people readily denounce their neighbours. This question about when killing becomes murder is the central question of this novel. And it is was because of this question that the book was censored in Germany. Until recently the English and the German book were very different. Remarque published his novel in 1954, but in order to publish it in Germany, the message had to be toned down, in places even altered completely. And the graphic elements were deleted. In the 50s, nobody in Germany wanted to think about guilt or that the soldiers might not have been heroes but in many instances just killers. Remarque wasn’t happy about the alterations but he accepted them because he wanted to see his book published. There was still a profound anti-war message in the book, but it didn’t point fingers. And the end carried a very different, anti-Russian message. However, the translations that came out at the same time, were all based on the original text. I really liked this book. It had graphic moments but it had also moments of incredible, almost surreal beauty like when Ernst discovers a tiny restaurant with a vast garden. It’s a small oasis in the middle of the destruction. Remarque uses descriptions of ruins and nature to show that horror and despair, and hope and joy coexist. At least – to some extent. Reading about destruction of the cities is quite awful. There’s one description of a house after a bombing, of body parts and dead people that was almost unbearable. Remarque is very good at characterizing minor characters and there are many memorable characters here. As for the love story—it is touching, but never sentimental. I’m glad I liked Remarque just as much as I did years ago and I know, I will read more of him in the future. 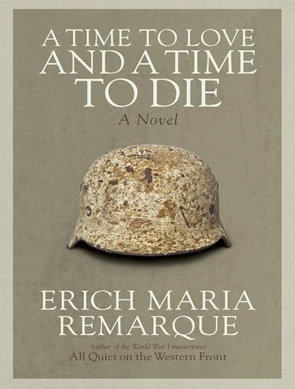 A Time to Love and a Time to Die is the last book in the Literature and War Readalong 2015. Further information on the Literature and War Readalong 2015, including the book blurbs can be found here. Thanks, Karen. Yes, the publishing history is interesting. Sealed writes about this aspect in his book on literature and war. Some authors like Ledigbhad a hard time getting published. I’m glad I was able to read the original. I hope you’ll read him some day. There are not many books like All Quiet but he’s written other good ones. His concentration camp novel us amazing. I don’t know the Engkish title.mits Der Funke Leben in German ( spark if life). Interesting review. 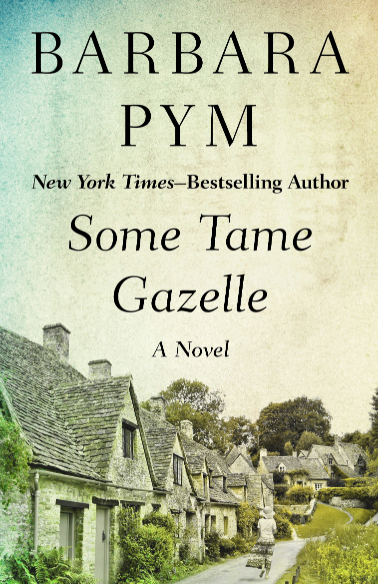 I have added this to my TBR list for next year`s German Lit Month. It explores the Universal themes of soldiers returning home from war and the difficulties of coping with re-assimilation into society that has changed as they themselves have changed. Alienation, despair, loss of ideals, disappointment, despair, suicide, etc. The book exposes the stark realism of the psychological damage war leaves upon veterans. I bet that’s a very good one too. I haven’t read it yet but I will. He’s good at showing the cost of war. The aftermath. I’ll be very interested to read your thoughts on this one. The Road Back is one of Remarque’s works that I’d like to read. One more good review 🙂 After reading All Quiet on the Western Front I’ve never dared to read anything else by Remarque out of fear that I might, somehow, be disappointed and that it will ruin All Quiet for me. I know that it is unlikely to happen though. Each time I reread any passage of that book, fearing that I might not find it as strong any longer, I’m filled with awe anew. Remarque is truely a writer like few. I couldn’t agree more, he’s one if a kind. Maybe All Quiet is in some way the strongest but I found since they all cover different periods, they work well together and it’s like a whole canvas. I really loved Arc de Triomphe. I’ve only read All Is Quiet on the Western Front but this one sounds excellent as well. I’m sure you’d like all of his novels. I’ve never read anything that disappointed me. This really sounds good though dark as realistic books on the subject of war often are. The story of the Germain version of this work is not that surprising. Books with anti war themes have such a long history of being censored and suppressed. I really want to read Remarque though I will lily start with All Quiet on the Western Front. I would start with All Quiet as well. It’s certainly one of the most important anti-war books. It’s a bit sad that he agree to chnage the novel but then again – publishing is vital. Thanks for such an interesting review, Caroline. It sounds as though this novel raises a number of important questions about different aspects of war (both at the front an at home). Remarque is very good at portraying those small moments of joy alongside the horror and despair – I recall something similar in All Quiet on the Western Front. My pleasure. It raises loads of questions. But what I like the most is his humanity. The details he captures are amazing. His characters are so real. I can’t remember All Quite that well but I’m sure, even there, he included some joy. I had hoped to join in with this readalong but probably won’t have the time now. I keep meaning to re-read ‘All Quiet’ and to read more by Remarque though I’d probably want to read ‘The Road Back’ or ‘Arc de Triomphe’ first. It’s strange connecting Remarque’s name with WW2. Don’t worry. I know how that goes and it was a longish book. The thing is – he wasn’t in Germany during WWII – so he doesn’t write about what he experienced – something the publisher and critics commented on and argued that what he wrote was pure fabrication. Nonetheless – he knew what it was like to be a soldier and research and visiting Germany after the war would have helped with everything else. But it’s not “his” war. I have read only his very powerful All Quiet on the Western Front. I hope to read more one days. Thanks for this very well done post. Thanks, Mel. I’m sure you’ll like his other books as well. I wanted to read your review and I am so tempted every moment, but I am going to hold myself back and wait till I finish reading the book, Caroline. I am loving it till now and I am glad that you chose it for the ‘Literature and War’ readalong. Remarque is truly remarkable. Looking forward to finishing the book and coming back and reading your review. I’m really looking forward to your review and discussing the book. I loved it. Don’t worry. 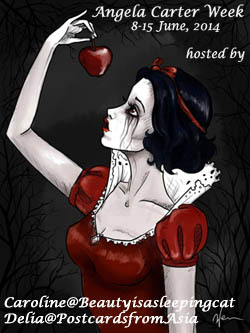 I’m behind reading blogs, something that rarely happens to me. And when I say behind I mean WAY behind. I find that people born after WWII like to talk about it. I had and have a few German friends, mostly the paretsn were born after WWII as well but they have stories to tell from the grandparents. On the FRench side of my family, they had to flee Paris but nobody was active in the war. Nor in the first war. They had their share of later wars (meaning my dad in Algeria). I haven’t read nearly as much as I wanted. Read this year in general or books for German Lit Month? Not that I should even ask this as I am so disorganized but will you do some sort of readalong next year like you did this year for the War and Lit books? I enjoyed it when I was actively participating. I would love to get back into some sort of better habit with blog reading and being part of the online reading community. I hate that I feel as though I have lost touch. I would be curious to know what my German friend has to say about her experiences growing up and how she learned about the war–sometime I will have to ask her. She actually studied American Lit at university and does some teaching and translation. And she likes cats! I’ve been so fortunate in meeting such cool people who live in Europe–even if only through letters or blogs and emails! 🙂 it is a happy way to expand my own little world. By the way, did your story run in the lit magazine by now? I still have the other writings you sent! I mean for German Lit Month. I’ve read tons this year but have reviewed only a few. Not sure why. I might do some cathc up posts with mini-reviews. I can’t imagine reading this author back-to-back, so I applaud your diligence, Caroline. I have to alternate subject matter. All is Quiet is near the top of my must-reads, but I will wait until after the holidays. This one sounds very good too. His novels are quite diverse. You have to brace yourself – All Quiet is a tough read. I liked this one. It was an interesting mix of home front/ soldier’s life. What an interesting story about the original intent of the author being preserved through translation. Kind of turns our assumptions about translation on their head. It does, doesn’t it? It also shows what a peculiar time it was in Germany. Publishing WWII novels in the 50s was complicated to say the least. Just found your blog via Lizzy’s blog. I read All Quiet just recently and it made my top ten favoueites list for that year. This one sounds fantastic as well. Which of Remarque’s books would you recommend to read after All Quiet? My favorite is Arch of Triumph. Very different from All Quiet but as far as I remeber it had an astonishing amount of quotable sentences and was very touching. It’s also been made into a ovie but I haven’t seen it. Beautiful review, Caroline. I didn’t know the details about publishing the book. Those were interesting. I loved the book (just posted my review, late, I know), the conversations most of all. I liked Graeber (that’s how his name was translated in the edition I have) and his ability to make the most out of his shattered life. And I remember the description of a piano hanging as if from a thread from a bombed house. There is beauty, even in death. The Black Obelisk was also great, some common themes, but it’s a much lighter book with plenty of humor. Thank you, Delia. I’ll be heading over soon. I’m glad yu liked The Black Obelisk because I’ve got it and haven’t read it yet. It sounds promising. I loved the descriptons of the restaurant and the garden they found. There were beautiful passages. I hope you read The Black Obelisk. It’s definitely lighter than this one. I had forgotten about the restaurant and the garden, their little Eden. It seemed a bit unrealistic to me but then I was glad they had some happy time together. Thanks for the link. What did you think about the conversations between Graeber and Elisabeth? I loved them. He seemed so wise beyond his years. I can’t really remember the dialogue. I somehow didn’t pay attention in just blended in. It was very realistic though. I’ll certainly read The Black Obelisk. I’m fascinated by the inter-war period. Looking forward to your thoughts on it. I’ll ask you about the dialogue in this one. 🙂 And I hope to read “All Quiet on the Western Front”. It’s on my list. Funny how we all pay attention to other things. I’m loooking forward on your thoughts on All Quiet.